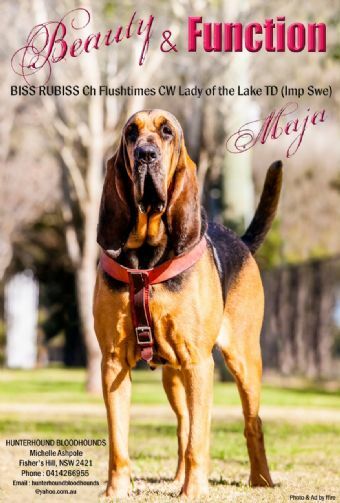 Maja was imported from Lena & Olle Dahlgren's Flushtimes & Clearwater Kennels Sweden in January 2010. 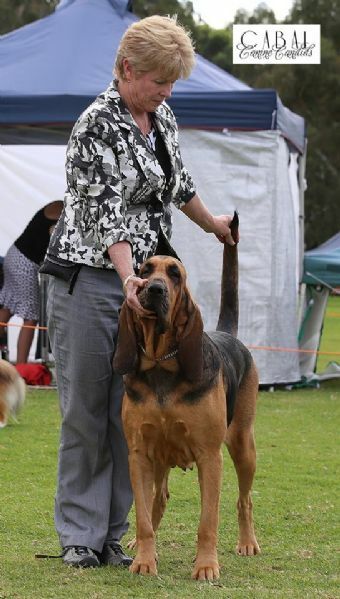 As with all 'Hunterhounds' she enjoys time in harness, doing what Bloodhounds are happiest doing, USING THEIR NOSES. 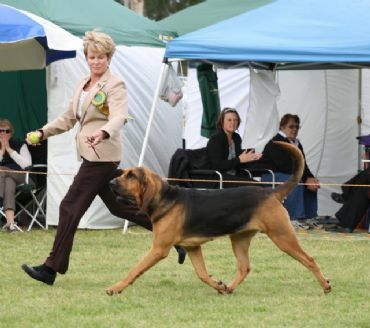 Maja commenced the 2014 Tracking season in great style passing the TDX6 track & attaining her TDX title. Maja has a delightfully outgoing & friendly personality & is a joy to have around.